"THE very name evokes awe and reverence," writes Sinjita Gupta, translator and compiler of 10 short stories by Rabindranath Tagore in a collection entitled Mystic Moods (UBPSD). To love and reverence, when it comes to assessing his worth as a writer of fiction, I add a third word, trepidation. I burnt my fingers once when I questioned Tagore’s standing as a novelist and short-story writer. I was mobbed at Kolkata airport by group of boys, none of whom, I am certain, had read anything written by Tagore. They had been put up by someone who was incensed at my audacity to criticise Bengal’s greatest icon. After that experience I discuss Tagore only with Bengali friends who are knowledgeable and are able to make a balanced assessment. Having a worshipful attitude towards a writer, however, eminent, is not the way to judge his merit. 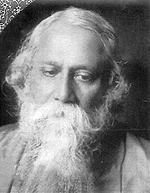 No one questions Tagore’s pre-eminence as a poet and writer of songs. There is also something uncanny and powerful about his paintings. I cannot make up my mind about him as playwright. But I have no doubts in my mind about him as a novelist and a short-story writer. I do not rate Tagore very high: Bengal has produced quite a few better than him. I am confirmed in my views after going through Mystic Moods. All the stories are contrived and unrealistic; quite a few are ghost stories and not one character comes to life. Part of this can be explained by his penchant for making one of his characters as the narrator in the oral tradition of story-telling when he starts by saying "Listen to this one." And you listen to what he says because he is sitting in front of you. That does not hold good when the tale is put down on paper. To add to the readers’ woes, Sinjita Gupta’s translations do not read well. Despite her academic qualifications and her scholastic pedigree, her rendering of Gurudev’s prose varies between the purple and the banal. However, one also get the uneasy feeling that there is little substance in the original. I would like people to read this collection if only to refute what I am saying. I am pretty certain that if these stories were sent to any publisher today under a name other than Rabindranath Tagore’s, they would be returned with a polite rejection slip. The tsunami killer waves occurred on December 26 last year, taking a heavy toll of human lives and property. Scientists tell us that they were caused by an earthquake measuring 9 on the Richter scale, as a result of the shifting of earth plates under the ocean. It also happened to be the night of the full moon. We know the moon has a gravitational pull on the earth which causes high tides. Was this a mere coincidence or did the full moon contribute to the disaster? Scientists and doctors have examined the data collected on the subject. It is believed that the full moon affects human behaviour and makes many temporarily insane. This myth was based on the fact that more than half of human and animals bodies are made of water. If the moon can make waters of oceans to rise, it may well do the same to the water in human and animal bodies. After examining hundreds of case histories it has been established that it does nothing of the sort. It neither affects the flow of streams and rivers nor makes the slightest impact on lakes and water in tanks and ponds. A marginal increase in the number of people bitten by dogs, cats, rats and horses has been recorded but not enough to link them to the full moon. Moon myths began centuries ago and persist to this day despite the fact that because of the widespread electric lighting few of us now get to see the full moon in all its glory. It is best to leave the moon for poets, lovers and newly married couples. The rest is moonshine. Kovac’s Conundrum: When you dial a wrong number, you never get an engaged one.